We worship God in spirit and truth for God is spirit and so our prayers are spiritual offerings and replace ancient sacrifices. (John 4:24) Our new sacrifice, which is prayer, is offered from the heart, fed on faith, prepared by truth, unblemished in innocence, pure in chastity, garlanded with love, which we bring to God’s altar, in procession of good works, to the accompaniment of psalms and hymns. This will obtain for us from God all that we ask. (Tertullian On Prayer) This time of Lent is not just a time for fasting and giving alms, but is also a time of devotion and prayer. Fasting, alms, and prayer, are like three sisters, which go hand in hand. If, then, prayer is necessary at all times and is the very life of a Christian, it is certainly an indispensable duty at this holy time. But what is prayer? All private prayer of every kind, is a conversation with God and a rising up of the mind and heart to God. By our words we address ourselves to God We present him with our homage, adoration, praise, and thanksgiving. In his presence by our faith, hope, and love, we lay before him all our necessities and those of the whole world. We ask for mercy, grace, and salvation. Finally, in our contemplation of God we rejoice with joy, because joy is the state of being loved and when we receive mercy, grace and salvation, we are loved. Does this not in some measure anticipate the joys of heaven? For what is heaven but to be with God? 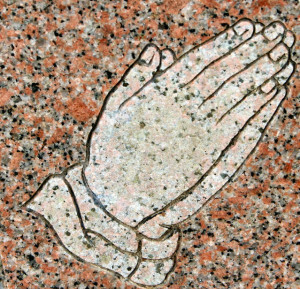 Prayer gives us free access to God whenever and wherever we are. Day or night, in freedom or prison, healthy or ill, poor or rich, the door to God is never shut. Think what an honour this is. Would any king or ruler in this world give anyone such an open invitation? Why not be more ambitious to take advantage of it for nothing could be sweeter than this heavenly conversation. Do not hesitate another minute, hour or day to let your prayers unlock the floodgates of God’s love for you. Whatever you say to God and however you say it, God listens. All Christians are obliged to pray, because it is the homage and worship we owe to God. Since he is our first beginning and our last end and the source of all our good, we are bound to honour him by frequent acts of faith, hope, and love. It is in prayer and through our prayer that we perform these acts. If we neglect prayer, we neglect these obligations, because we are refusing to sing the praises of God. We are refusing to be thankful for our life. Does our God, then, stand in need of our prayers or us? No, certainly not. He has no need of us, but we are continually in need of him. Therefore, out of love for us, he often calls us to pray, because he sees that without frequent prayer we must remain miserable in our self-will and self-concern and in our foolish belief in our own power whether such stems from wealth, prestige, fame, or circumstances of birth. Just consider the necessity of prayer in the war in which we are engaged during our earthly pilgrimage—a war with those three most desperate enemies: the world, the flesh, and the devil. We are surrounded with dangers on all sides. We walk in the midst of snares and breath in the values of this world, such as over consumption and materialism, as if they were essential to life. We live in a world that is very wicked and cruel where greed and avarice rule. We exist in the midst of deluded people who are strangers to the Gospel, who by word and work encourage disobedience to God’s commandments and who seek to drag us along with them into the broad road of self-destruction. We carry about with us a load of flesh, this composition of ourselves we call our body, and it weighs us down with its endless demands, passions and lusts. What shall we do? How can we escape all these dangers and overcome all these enemies? We must pray. Prayer will engage God and with him all our enemies will fall before us for if God is with us, it does not matter who is against us. Conclude then to pray in all dangers and temptations and, since life is full of dangers and temptations, let us make our life, as much as possible, a life of the spirit. In this way you honour God and keep ourselves truly children of Heaven, neglecting no aspect of your prayers. Obviously, it is essential that a condition of prayer is that we pay serious attention to what we are doing. To pray in a state of distraction or with a nonchalant attitude is a mockery of the divine majesty to which we are addressing ourselves as well as making a mockery of our own intentions. God himself said of such people that they honoured him with their lips but their hearts were far from him. (Isaiah 29) If this is how you are when praying, then be quick to remedy it. Remember that anyone, who has not found the way to pray well, that is with a full and honest heart, will surely fail to live or die well. This preparing the soul for prayer consists in emptying your mind of all worldly thoughts and concerns as much as possible. Do not let your imagination roam. You are in the process of untying your heart from all affections and worries and the wanderings of the imagination. You are beginning a serious recollection of the soul in the presence of God. You are silently and steadily entering into the presence of God. As you reach out to him, so he reaches out to you. This is what praying is about. If you find yourselves with a multitude of distractions in your time of prayer, do not be discouraged. For as long as you do not want such distractions, they will not hinder your prayers, because it the choice of our free will and our intentions that God regards. When he sees we have set out to pray with a good heart, he does not turn aside from us. He disregards the involuntary wanderings of our imagination, the fluttering of our mind, and the impatience of our body. If you live in a constant dissipation of thought with a mind that is always jumping around all over the place, how can you expect that such a mind and heart will stop such aimless and uncontrolled behaviour simply because you decide to pray? So, if you want to pray well, resolve to keep a close guard on your mind and your heart, not only at the time of prayer, but at all times. I think it’s important to point out that prayer is a dialogue, and that an important part of this is listening or paying attention to what God is saying. Even if we can’t ‘hear’ God, God finds innumerable ways of speaking to us – whether in the Word of God, the natural world, other people, and so on. We need to apply some discernment to identify what God is saying, however! Sudden flashes of inspiration may be for good or for bad . . .